Represented by Alexandra VAN HOUTTE, its President. These general conditions of use (hereafter the "General Conditions") are concluded between TagWalk and a user wishing to benefit from the Service offered by TagWalk on the Site (hereafter referred to as " "User"). They are exclusively applicable to the use, in accordance with the present, of the Site, of which access is free. Any user browsing the Site is invited to read these Terms and Conditions and is deemed to accept them without restriction or reservation. - At any time, via a hyperlink located at the bottom of each page of the Site. They may also be communicated to any User upon request by e-mail addressed to TagWalk at info@tag-walk.com. The Terms and Conditions define the rules of use of the Site. They are the support of the contractual relationship between the User and TagWalk whose rights and obligations they define. They take precedence over any other document, regardless of form or medium. Nevertheless, it is expressly understood that any commercial partnership concluded by TagWalk and involving services not expressly included in the Service as defined by the General Terms and Conditions must be the subject of special conditions and / or a separate agreement. The use of the Site constitutes unconditional or unrestricted adherence to the General Terms and Conditions in force on the day of access to the Site, which are preserved and reproduced by TagWalk in accordance with article 1127-1 of the Civil Code. Expressly acknowledged by the User. The latter waives the right to rely on any contradictory document, which would be unenforceable to TagWalk. The General Conditions must be expressly accepted by any User creating an account on the Site, which must, to finalize its registration, tick the box provided for this purpose. The use of the Site by any User, registered or not, constitutes acceptance of these Terms and Conditions. TAGWALK reserves the right to modify at any time, without notice, all or part of these Terms and Conditions. For Users not registered on the Site, the use of the Site after modification of the General Terms and Conditions constitutes acceptance of the new General Conditions in force. In the case of Users registered on the Site, TagWalk will send them an email informing them that an amendment to the Terms and Conditions has occurred. Their connection following receipt of this email will be acceptance of the new applicable General Terms and Conditions. TAGWALK reserves the right to refuse access to the Site, without prior notice or notification, to any User who does not respect the General Conditions. In the event of violation of one of the clauses of the General Conditions and in particular in case of use of the Site manifestly contrary to the laws and regulations in force in France, public order or good morals, TAGWALK may Proceed without delay and without prior warning to the removal of the offending User, without prejudice to any request for redress made in court. 2) to any User registered on the Site to select certain photographs and to save them in his dedicated personal space of the Site, according to one or several tags or keywords, thus creating trend panels or "moodboards" that the User may Then share on the social networking platforms Facebook, Twitter, Pinterest and Google+. The Service is available in French, English and Italian. All photographs referenced on the Site are protected by copyright and / or neighboring rights. TagWalk has validly acquired from the rightsholders concerned the authorization to publish them on the Site. This authorization has been granted solely for personal use and for limited use by the Service as described herein. The User understands that any extracting, reproduction or dissemination of the photographs listed on the Site which is not expressly permitted by these General Terms and Conditions exposes him to an action for infringement by TagWalk and / or any rightful claimant. 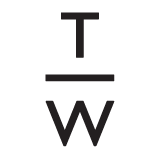 The database constituted by TagWalk, as well as the categories and tags defined by TagWalk, are original works requiring editorial work and significant investments and protected as such by copyright and the right of producers of databases . Any unauthorized reproduction or imitation, in any manner whatsoever, will expose the infringer to an action based on the infringement of TagWalk's intellectual property rights, without prejudice to any action for unfair competition or parasitism. The Service is reserved for personal and non-commercial use only. The User warrants TAGWALK that its use of the Site will be strictly private. All costs relating to access to the Service, whether they relate to hardware, software or internet access, are the sole responsibility of the User. He is solely responsible for the proper functioning of his computer equipment as well as his access to the Internet. Registration on the Site is free. It is nominative and reserved for natural persons able to contract (emancipated majors or minorities) or duly represented. To become a User of the Site, the User must comply with the registration procedure and accept in advance and without reserve these General Conditions and the Confidentiality Commitment, by ticking the box provided for this purpose. The User may create a personal space on the Site by filling in the registration form accessible by clicking on "Login" or "Login" at the top right of each page of the Site. Prior to the registration of the registration form, the User undertakes to read carefully these General Terms and Conditions. All fields marked as mandatory must be filled in. Once his user account has been created, the User can access it from his various terminals and at any time by clicking on the dedicated tab at the top right of each page and by entering his User details: And password. To provide correct and accurate information. Not to usurp the identity of a third party and not to appear under a false identity. In the event of a subsequent change of his / her personal data, to modify the data provided as part of his / her registration. The User who has validly identified himself may modify his personal information at any time. The fact that a User logs on by providing his username and password is proof of his identification and access to the Service, the provision of the Service and assumes the User's responsibility for any fact or act relating to his Use of the Site. The password and the identifier giving access to the User's personal space are strictly confidential and have the function of protecting the personal data of the User. The User undertakes not to communicate them to any third party and to keep them, in case of forgetfulness, in a place known only to him. In the event of recurring difficulties in connection with his account, or in case of forgetting his password, the User may request from TagWalk the reset of his password by clicking on the link "Password forgotten". The User is solely responsible for the personal information it provides to TagWalk upon registration. He agrees to report to TagWalk as soon as he becomes aware of any unauthorized use of his account. TagWalk can not be held liable in the event of fraudulent use of the User's account by a third party. All photographs published on the Site are protected by copyright. The ornaments and fashion accessories represented in these photographs are protected under copyright and design rights. The mannequins whose image is captured on the photographs are protected under the right to the image. TagWalk has been validly and expressly authorized by the rightsholders concerned to exploit these photographs in connection with the use of the Site in accordance with the General Conditions. For this reason, any reproduction, representation, adaptation, translation and / or transformation, partial or integral, of these photographs, by any process whatsoever, without prior authorization and in writing of their beneficiaries, is strictly prohibited Copies for private use and those made for the press), and would constitute an infringement punishable in particular by Articles L. 335-2 et seq. Of the Code of Intellectual Property and would incur civil and / or criminal liability for its author. All trademarks on the Site are registered trademarks (i) by TagWalk, or (ii) by a third party that has expressly authorized TagWalk to use them for the purposes of the Service. Any total or partial reproduction or use of these marks without the prior written authorization of the holder shall constitute acts of infringement and, where appropriate, unfair competition, subject to prosecution. All the elements relating to the Site (mock-up, graphic design, user interface, tags, database structure, categories and classification) including the underlying computer code are the exclusive property of TagWalk. The intellectual property rights attached to the Site and each of the elements created for it are the exclusive property of TagWalk which does not grant any license to them or any right other than that of consulting the Site and using it in accordance with Terms and Conditions. The reproduction, representation and / or modification of any page or content on the Site is strictly prohibited unless TagWalk has obtained the prior written permission of TagWalk. All the data on the Site have been collected, collated, structured and classified by TagWalk, which verifies and updates them continuously in order to keep them up-to-date. As such, TagWalk has the protection granted to producers of databases under Article L341-1 of the Code of Intellectual Property. Accordingly, any extraction or re-use, by any means whatsoever, of all or part of the database contained on the Site is strictly prohibited and will be prosecuted. The User who has a personal website and who wishes to place a hypertext link on this site referring directly to the Site must obligatorily request the written authorization of TagWalk. In any event, any link, whether authorized or unauthorized, shall be withdrawn immediately upon written request from TagWalk. TAGWALK strives to protect the privacy of Users of the website www.tag-walk.com in accordance with the French regulations in force. The information collected during the visits of the User on the site and during registration are subject to computer processing that has been declared to the CNIL under the number 1961292 v 0. 6.1 TAGWALK strives to protect the privacy of Users of the website www.tag-walk.com in accordance with the French regulations in force. The information collected during the visits of the User on the site and during registration are the subject of a data processing declared to the CNIL under the number 1961292 v 0. TAGWALK does not collect any information concerning the User to without his knowledge and without his agreement. To be able to register on the site, the User must transmit identification data. 6.2 Personal data collected is necessary to process and manage registrations. They are subject to computer processing. They also allow, according to the choices made by the User of the site during his registration request, the sending by TAGWALK of a newsletter. If the Member does not wish it any more, it can at any time make the request by writing to the following e-mail or postal addresses: info@tag-walk.com or TAGWALK, 4 rue des Petits-Champs, 75002, Paris (France) . 6.3 In order to become a User of the Site, the User must transmit information. The information identified by an asterisk is required for registration. In their absence, TAGWALK will not be able to process the User's registration request and the User will not be able to access certain services. Other information is intended to better know the User and are, therefore, optional. The User is free to not answer it. 6.4 The personal data collected is intended for TAGWALK, responsible for their processing. This data may also be transmitted to TAGWALK providers who contribute to the management of the website and its database, all subject to a non-disclosure obligation. These data will not be transmitted to third parties for the purpose of advertising and prospecting. Similarly, TAGWALK will not sell or rent any information or personal data transmitted by the Site User without its express and prior agreement. The information thus collected is kept in a safe place and only authorized employees can access it. Procedures for the electronic backup of the data collected on the website are also implemented, in accordance with the French laws on personal data. The personal data collected is not stored beyond the duration of the registration of the Site User except the names, first names and email addresses of only Users of the site who have expressly agreed to receive the TAGWALK newsletter. This data alone is then retained as long as the User of the site has not requested its deletion to TAGWALK and in any case for a period not exceeding 3 years from their collection. The User of the site will have to prove his identity by enclosing at his request the copy of his identity document and indicate in his email or mail, his name and surname. Finally, the IP addresses relating to the consultations performed by the User on the site are collected and kept for the establishment of statistics, after being anonymized. For more information, the User can consult the CNIL website (http://www.cnil.fr). if it is connected to the social network during its navigation, the application buttons are used to link the pages consulted to his account on the social network;if it interacts by means of plug-ins, for example by clicking on the "Like" button or by leaving a comment, the corresponding information will be transmitted to the social network and published on its account on the social network. If the User does not want the social network to link the information collected through the Site to his account on the social network, he must disconnect from the social network before visiting the website. The User is invited to consult the privacy policies of these social networks to learn the purpose of use, including advertising, navigation information they can collect through these application buttons. The User has the option to delete his account at any time. To do this, it is enough, when connected, to click on the corresponding tab accessible in the tab "My account" then "Account details" at the top of each page of the Site. TAGWALK reserves the right to delete the User's account in the event that the User has not complied with the Terms and Conditions. Once his account is deleted, the User will no longer have dedicated personal space on the Site and his recorded moodboards will be permanently deleted. TAGWALK undertakes to destroy all personal data relating to the User whose account has been deleted within 24 hours. The User is solely responsible for the use of the data he consults, queries and transfers on the Internet. Not infringe the rights of third parties, in particular their right to the image, their literary and artistic property rights and their industrial property rights. Any behavior contrary to the present commitments will result in the immediate deletion of the User's account without prejudice to any legal action or damages applicable. In addition to the repercussions on TagWalk, the user's disrespect of the aforementioned commitments will incur its responsibility towards the beneficiaries. Thus, any use of photographs infringing the intellectual property rights of their author will entail the exclusive responsibility of the User. TagWalk will take immediate action in respect of any User whose behavior does not comply with these General Conditions, the legal and regulatory texts in force, good morals or public order. Any User who has been the subject of a report to TagWalk may be prohibited from connecting to the Site, without prejudice to any legal proceedings. The User is solely liable in the event of non-performance or improper performance of these Terms and Conditions, whether in respect of TagWalk, other Users or third parties. TagWalk is not responsible for the completeness and / or reliability of the information and / or functionality contained on the Site. In particular, the choice of the photographs included in the database made available to the Users, as well as the choice of the terms and keywords associated with each photograph reflect a subjective choice specific to the publisher of the Site, subject to modifications without notice and any time. As a result, TagWalk shall not be liable for any errors, omissions, or results that may be caused by the use and / or use of the Site's information and / or features. Users who take cognizance of information and / or who use a functionality of the Site are therefore responsible for any use that may be made of them. It shall in particular be responsible for verifying that any information thus collected and / or any functionality to which it is used is adapted to the use that the User wishes to make of it. TagWalk's sole mission is to provide the Service, which is to provide Users with a search engine enabling them to formulate targeted searches. TagWalk agrees to provide this Service, with all due diligence and professionalism, as provided in these Terms and Conditions. The Site is accessible 24 hours a day to any User who has access to the Internet, subject to force majeure and maintenance periods. TagWalk undertakes to use all reasonable means at its disposal to provide the User with quality access to the Site. Nevertheless, TagWalk reserves the right to interrupt access to the Site for the purpose of maintaining it or for any other reason that it deems necessary, without this suspension incurring any liability or entitlement to compensation from the User . If a technical problem makes it impossible to access or use the Service offered on the Site, TagWalk undertakes to make its best efforts to implement all the technical solutions at its disposal so that access is Restored. Consequently, TagWalk can not guarantee the availability of the Site and / or the functionalities, nor the reliability and / or speed of the transmissions and the responsibility of TagWalk can not be engaged if it is impossible to access all or part of the Site and / Or its functionalities, or disruptions or difficulties encountered by the User in this respect. The User is solely responsible for the proper functioning of the computer equipment which allows him to access the Site. In no event shall TagWalk be liable for any damages that may occur on the User's computer system and / or loss of data resulting from the use of the Site by the User. The Site may contain hypertext links to other websites. Access to such links by the User shall cause the User to leave the Site. This is particularly the case for social networking platforms referenced on the Site and allowing Registered Users to share their moodboards with their different communities. TagWalk assumes no responsibility for the content, advertising, products and Services available on or from these sites and / or external sources. By accessing it, TagWalk agrees to abide by the terms and conditions of the external site in question, to which TagWalk is not a party. The User acknowledges therefore that TagWalk can not be held responsible for any damages resulting from their access from a link on the Site. The nullity of any of the clauses of the General Conditions does not invalidate the General Conditions or the other clauses of the General Conditions, which will retain all their force and scope, unless the User demonstrates that the canceled provision Is essential and decisive for him, without which he would not have accessed or used the Site. Temporary non-application of one or more clauses of the General Terms and Conditions by TagWalk shall not be construed as a waiver on its part of the other clauses of the General Terms and Conditions which shall continue to have effect unless expressly stated in writing by TagWalk. In this regard, it is specified that the fact that TagWalk does not rely on a failure by the User to fulfill any of its obligations referred to in these General Terms and Conditions can not be interpreted in the future as A waiver to invoke the said breach subsequently or a waiver of the obligation in question. Any complaint by a User as to the access and / or use of the Site and / or the Terms, their validity, interpretation, execution, termination, consequences or consequences, which could not be resolved amicably between the User and TagWalk, shall be submitted to the competent courts within the jurisdiction of the Court Of Paris. The User is informed that he can in any case resort to mediation or any other alternative means of dispute settlement (including conciliation) in case of dispute. Subject to any conflicting national or Community legislative provisions, the General Conditions and any contracts governed by them are subject to French law.